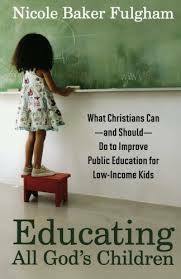 Educating All God’s Children: What Christians Can – and Should – Do to Improve Public Education for Low-income Kids by Nicole Baker Fulgham, Brazos Press, 2013. 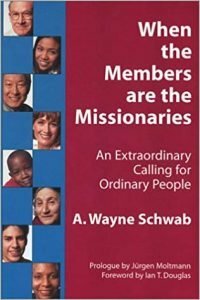 Not about school prayer but about hands on help with teachers, parents, funding and resources, and how to work for early childhood education. Fulgham has both taught in low-income areas and done what she advocates. Public school inequity and the achievement gap cry out for help from missional churches wherever they are. Fulgham will stir you up! Books can be found at bookstores and libraries.